Vaddio, a brand of Legrand’s AV division, manufactures professional quality PTZ cameras, Pro AV solutions, a full suite of Unified Communication and Collaboration systems, and offers Luxul and C2G connectivity solutions as well. Combining enterprise class performance and industry leading support, Vaddio products enhance any AV experience by elevating the science of communication with The Art of Easy. 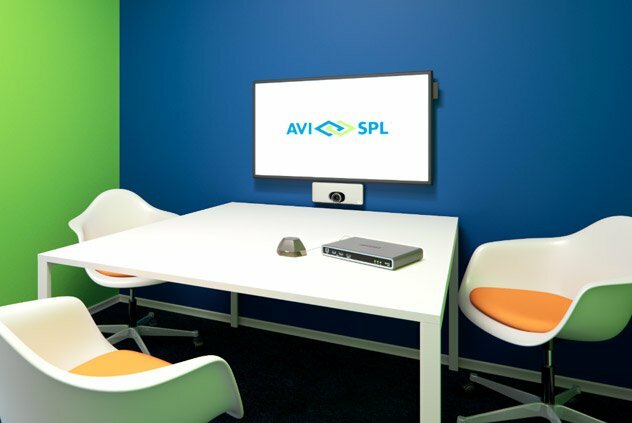 As the world’s largest and most trusted AV integrator, AVI-SPL partners with collaboration manufacturers—like Vaddio—to provide you with the best professional grade cameras, camera extensions, camera mounts, controllers, switchers, presenter tracking systems, and USB conferencing solutions available. Vaddio’s RoboSHOT Camera Series is being replaced by the new RoboSHOT Elite Series. Check out the new replacement models to your favorite RoboSHOT cameras! Military exercises, video collaboration, and simulation are among the functions supported at this naval facility. With AVI-SPL and Vaddio’s advanced AV and UC solutions, you’ll get best-in-class visual communication solutions to fit your video conferencing, broadcasting, distance learning, or live production needs. RoboSHOT Elite Series – The RoboSHOT© Elite Series is Vaddio’s next generation of professional PTZ cameras – a great new lineup for 2019 with better capabilities and improved image performance. CeilingMIC Microphones – CeilingMIC™ microphones deliver professional audio quality into PC systems for a superior conferencing experience. Sleek design. Full 360° pickup coverage. Three-element array head. Works with Vaddio products designed with an EasyMic port. AV Bridge Mini – With the AV Bridge Mini HD Audio/Video Encoder, you can bridge any high-definition HDMI and audio source into soft conferencing applications through a more powerful USB 3.0 interface. RoboSHOT 40 UHD – Broadcast-quality PTZ camera with 40x zoom. Produces brilliant 4K video footage for broadcasting, streaming and recording. C2G AV Connectivity Products – The C2G, Cables To Go, product line will now be available through Vaddio. Luxul Products – Switches & Routers from the Luxul product line are now available through Vaddio.